Whole house fans combined with ceiling fans and other circulating fans provide acceptable summer comfort for many families, even in hot weather. 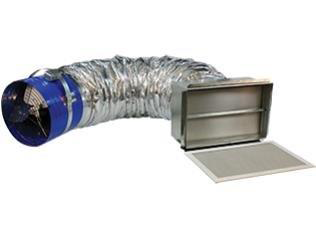 Whole house fans are typically installed inside the attic of a home between the ceiling and living space. Whenever outside temperatures are cooler, you would open your home’s windows and turn on your whole house fan, cooler outdoor air flows through the home, cooling the living space of your home.